During mid-2018 a leaked patent image of a naked streetfighter from Haojue, who happens to be Suzuki’s partner in China created a lot of buzz in the market. 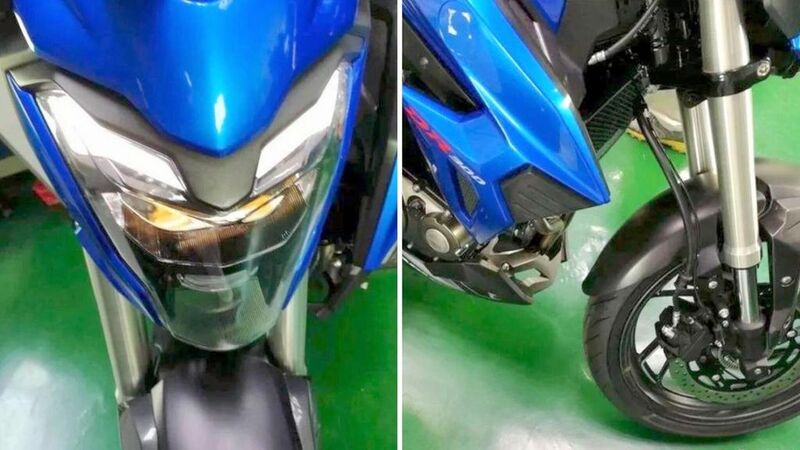 Recently much clearer images of what looks like to be a production-spec variant of the same motorcycle have surfaced online from inside a production plant. Now to make things clear in China it is called HJ300 but the motorcycle is popularly known as Suzuki’s GSX-300 to the rest of the world while the Gixxer tag is specific to Indian market only. If we talk about the styling the front headlamps get an integrated LED daytime running lamps while the headlamp, in particular, gets conventional halogen units. Suspension duties will be carried by upside down forks at the front while the rear gets a mono-shock setup. The motorcycle features stylish alloy wheels which have been wrapped around with premium sticky Pirelli tubeless tyres although we are not sure whether this will come fitted with same rubbers when it is finally launched here. The motorcycle will rely on a single disc setup for both front and rear. 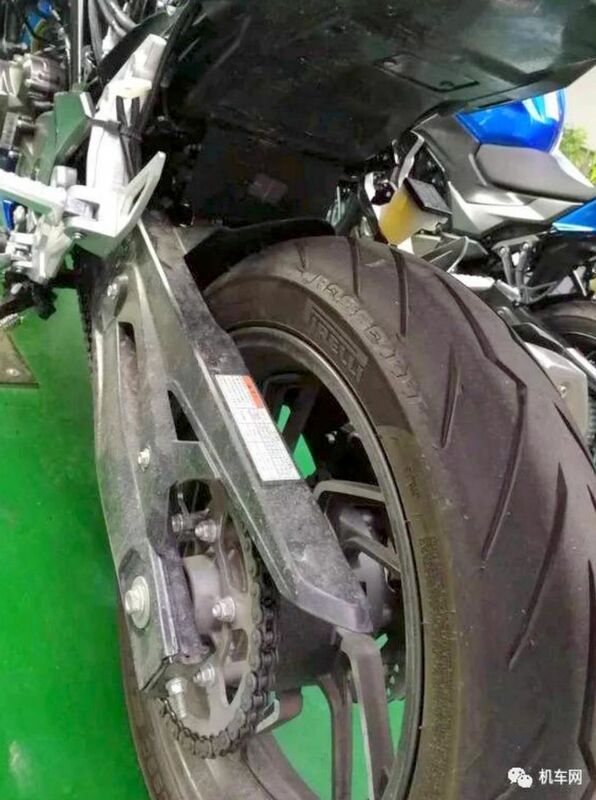 The leaked image shows the presence of ABS rings at the front petal discs which mean that dual channel ABS will be standard with this motorcycle. As far as other technical details are concerned the motorcycle will most probably be powered by a 299 cc, parallel twin, 4 valve engine. The power output figures are still unknown though but it will be paired with a six-speed gearbox. Now the reason we said that the Gixxer 300 could launch soon because the demand for entry-level premium motorcycles are increasing in our market and currently the BMW GS310 has no rivals as such. So there is a fair chance for Suzuki to launch the motorcycle soon to fill the rival spot. As far as the launch dates are concerned the Motorcycle surely looks production ready which is actually good news because then there is a chance that it might launch in 2019.